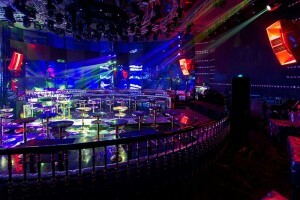 China - Audio Visual production and design specialist Most Technical China has completed the installation of a brand new Void Acoustics nightclub system for the Catwalk Group in Guangzhou, China. 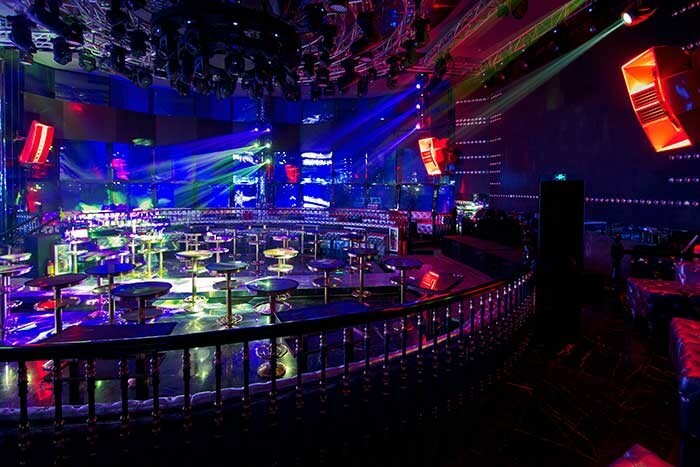 One of a growing number of increasingly popular high end Chinese-style ‘superclubs’, the 500 capacity VCAT boasts an Incubus Air Array main room setup supplemented with Nexus series loudspeakers. "When the Catwalk group initially bought the space for VCAT they asked us to do a demo at the original site with a system of Void Nexus 6 tops and S218 subs, and we pretty much blew the socks off their original PA using about a quarter of the kit," says Most Technical founder Dave Parry. "The relationship was then built over a period of time, with the visionary Catwalk brand owners Mr John and Mr Dan eventually giving us the contract in the face of severe competition due to the trust they had in us." With factory support from Void designers Rog Mogale and Alex Skan, the audio design was created by MTC business partner David Chow with Dave Parry, both of whom worked closely with the interior designer to gain enough space for all the speakers, especially the subs. 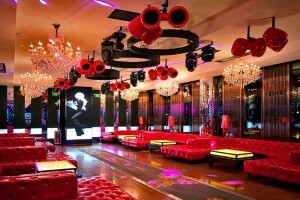 In contrast to Western tastes, the norm for Chinese clubs is to have no dance floor, so the main room demanded coverage from a full-on PA system as well as subs and stereo pairs for every seat, giving every booth seat essentially a full dance floor sonic experience. So numerous were the individual models required to accomplish this that the eventual specification was formulated more by David Chow’s intimate knowledge and experience of club installs than any modelling software could have achieved. And as is so often the case, Void’s stunning visual designs convinced the owners and resident DJ Black after a compelling demo to opt for Incubus and Nexus products, with different models of loudspeakers chosen to highlight each individual area. A custom red finish was applied to all the speakers which really makes them stand out from the surrounding furniture and video walls. The main room system at VCAT comprises two Incubus Air Arrays at the front with four Stasys X Air subs underneath; as rear fills there are two Nexus 6s above a further two S218s subwoofers; the DJ also has a pair of Air Motions as monitors. Around the tables there are also 12 Mycro X subs built in under the seating providing additional bass support. The Bar/ VIP area contains two Tri Motions with two S218s under them; and two Cyclone 10s cover the small bar whilst the seating area is awash with eight Axsys 12 and eight Mycro Xs. The rear of the room is covered by 12 Airtens with six Mycro X in the seating and two L2 subs as fills. A total of 36 Powersoft amplifiers of various models power the audio system, with six Void Livedrives controlling it. 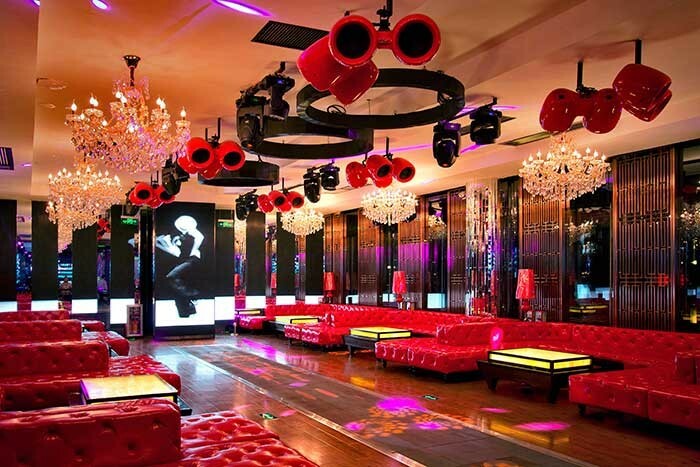 "Bearing in mind the club holds 500 people max, that’s quite some loudspeaker system!" muses Parry. "We dealt with a few acoustical challenges during the install – the circular shape of the room being one of them – but nothing that we couldn’t solve, and we fully expected to tweak and fine tune as the decoration was completed and the club went through a period of soft openings." After a lot of hard work, plenty of 5am finishes, and exemplary support from the factory, Parry considers VCAT to be a pinnacle of achievement in what were often trying circumstances: "I am really proud of the standard of installation on this project, it shows the attention to detail and standards that we as a company work to," he comments. "That amount of power in such a small space is simply insane. These guys really wanted it loud and we certainly gave them that. The Stasys X really punch well alongside the Air Arrays, and I am stunned at the volume these run at and yet stay clean." Mr John and Mr Dan are supremely happy with the result, and the brand-aware punters love the non-conformist look and great sound of the Void loudspeakers. "VCAT sounds and looks amazing – with each speaker performing its role in defining each area, and delivering a level of sonic quality I have not heard in Guangzhou before." Parry concludes.